After writing you all about the tragic death of Bangiri because of a lack of transportation to medical care, another emergency hit House of Joy. 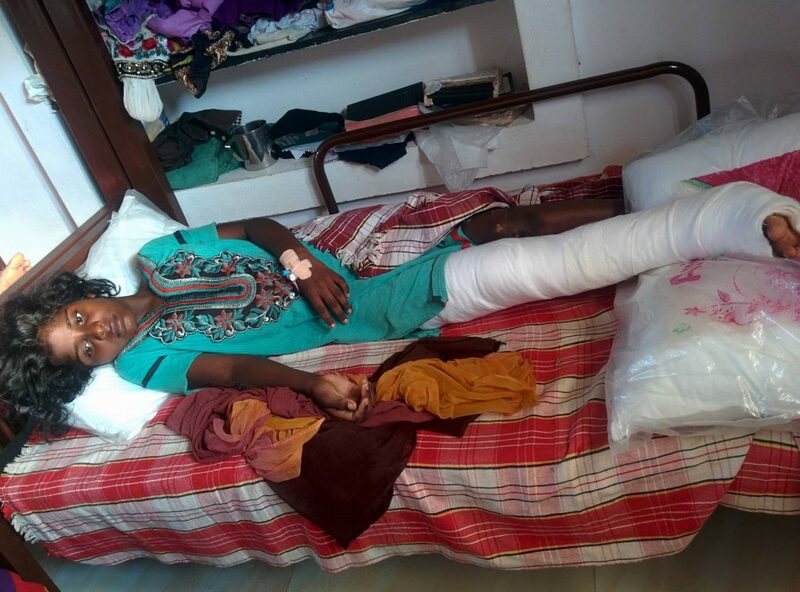 Some of the House of Joy girls were walking home one day, and Jessica was struck by a motorcycle. It was apparent right away that she was seriously injured and needed to get to a medical facility. Without a vehicle of their own, the house parents hired an autorickshaw to get Jessica some help. As you can imagine, it was a long, bumpy and painful ride to the orthopedic hospital nearly 35 miles from home.